3. 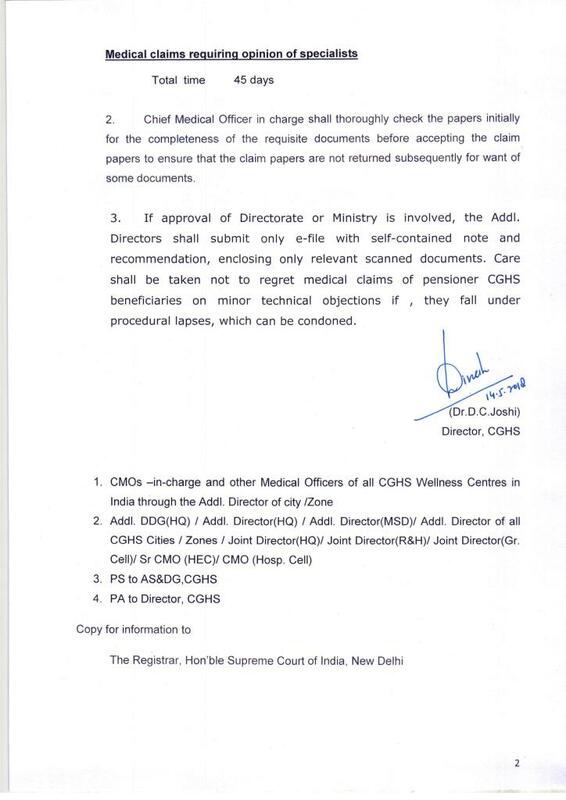 If approval of Directorate or Ministry is involved, the Addl. 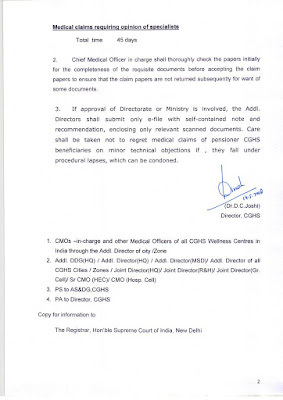 Directors shall submit only e-file with self-cotained note and recommendation, enclosing only relevant scanned documents. 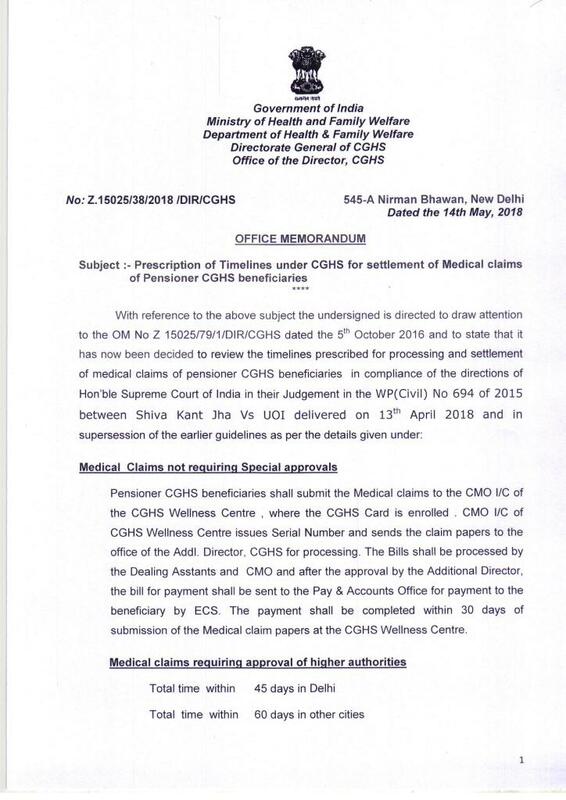 Care shall be taken not to regret medical claims of pensioner CGHS beneficiaries on minor technical objections if, they fall under procedural lapses, which can be condoned. 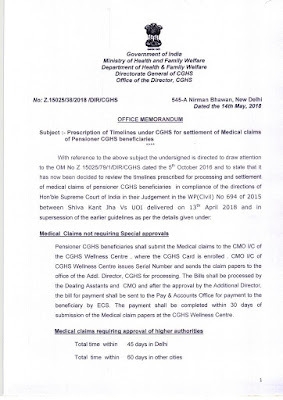 Click to view CGHS O.M.